Some of Minna Shaw's neighbors don't trust her clever broom. "It's dangerous," they say. But Minna appreciates the broom's help. She enjoys its quiet company. 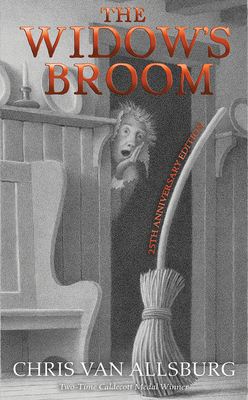 But one day two children get taught a well-deserved lesson by the broom. For her neighbors, this is proof of the broom's evil spirit. Minna is obligated to give up her dear companion. Chris Van Allsburg, master of the mysterious, brings this tale to life with moody and memorable pictures that will haunt readers long after the book's covers are closed—now in a new edition to celebrate this beloved book's twenty-fifth anniversary.